It’s always fun to have to lay out a room differently than normal, makes you stop and have to think, love it. For this couple they had a dj for the dinner and later in the evening, but for two hours they had a rock band/Steel Panther (what a lot of fun they were, rocking the house) from Vegas entertain the crowd and they needed a huge stage. 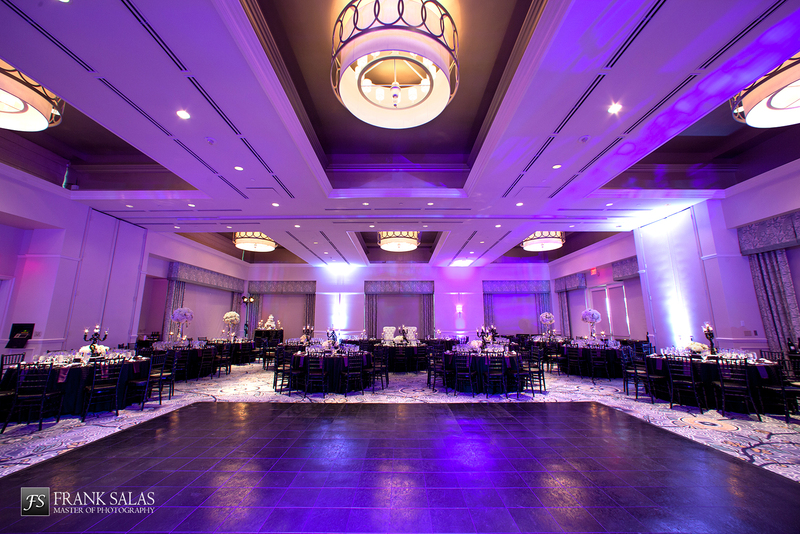 In a not quite square ballroom you have to make a decision to either make that stage the focus and spread the tables out around it, or what we did, we put the stage at one end, then all the dining/guest tables with the royal headtable furthest away from the stage. It worked out perfectly, and this band was absolutely awesome, a lot of fun. What made this wedding even more unique (than the rock band) was that the bride and groom were not involved in one aspect of the wedding. Their rep who was male and not gay or married so feeling way out of his league, he and I planned everything, from the color concept to the decor etc. We had a great time and I do think by the end of it he was actually having fun!!! 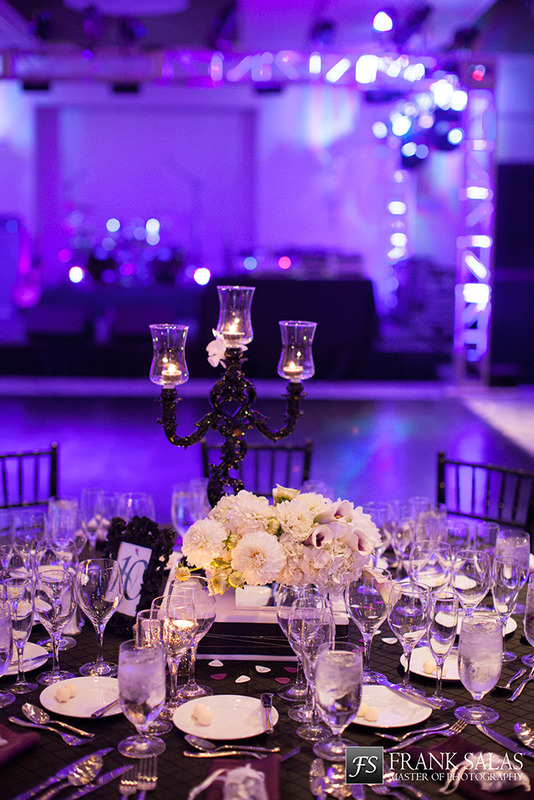 So if wanting to have a dramatic/wow effect, don’t be scared to do a dark base, just like we did here, meaning black linens, chivaris/cushions, leaving the napkins and centerpieces to provide the pop. My weddings this year seemed to be this kind of feel or totally the opposite, love it, thus my job is never boring. Special thanks Karla/Elegant by Design for the florals & always thinking out of the box for me. Also to Frank Salas, http://www.franksalas.com one of my fave photogs for the pics above. Also, Brie and the team from the Ritz, as always, fab u lous working with you all as always. I was doing so well, was getting the weddings blogged as the year/season started and then July hit and the weddings happening from then through October got me busy and my blogging stopped. I have so many great looking celebrations to share, so get ready, this has really been a year of lovely lovely couples with great friends and family, and visions that we started with that turned out so fabulous. In the meantime, I am so fortunate, the thank you cards and emails have been coming in, so I am sharing some more with you below (all the originals are in my office), and I have gotton so many will have to share them over a few blog entries. Lisa, I can’t believe I am just now getting around to this, but I wanted to thank you for everything. The day was perfect and all of your vendors were so professional and easy to work with. Thank you again for everything. Sandy. Hi Lisa, I was looking through all of my wedding memories from two summers ago and it still thrills me to see the pictures. It was so beautiful and absolutely perfect for Rick and I and what we wanted our day to be like. Even though our wedding was a small gathering it was perfection. You cared about every detail just like I did. Thank you so much for making my memories of it so wonderful. Let me know how to follow you on Facebook and Instagram. We love you. We are so grateful of what you have done for us. Special lady, special memory of you darling. I am just so so lucky. I spend time with these couples, some months, some weeks in the build up to the big day, I can see how it is all going to be in my head, and driving to the venue I am always so happy/excited to see it come together. It comes together perfectly and we have lots of hugs and high fives through the night, and then the icing on the cake is these words that come to me after, reaffirming my love for what I do makes a difference in the end result for these couples and their friends/family. Now don’t think a wedding can’t be pulled together to happen in the next four to eight weeks, it sure can. Sooner may mean personally calling guests to invite them, but if looking at the end of December, plenty of time to find invites/get them mailed and get rsvps. 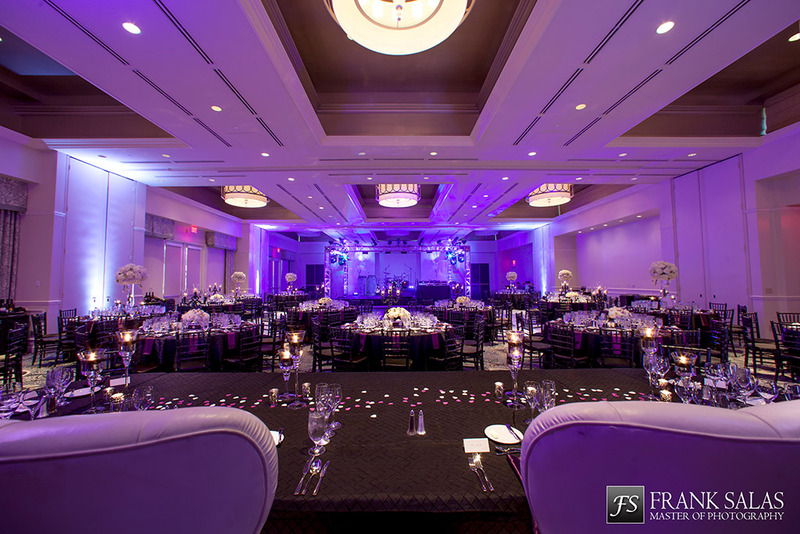 I happen to have quite a few couples through the course of each year that call me having just decided to get married, or just booked a venue, and have done nothing else, and we pull everything together no problem with this kind of planning window. In fact, sometimes this is the perfect way to plan a wedding, it keeps the guest list down due to people having plans already possibly, a bride doesn’t have months to second guess any vision/colour/design aspects, and it moves along fast and the wedding day comes without months of waiting. 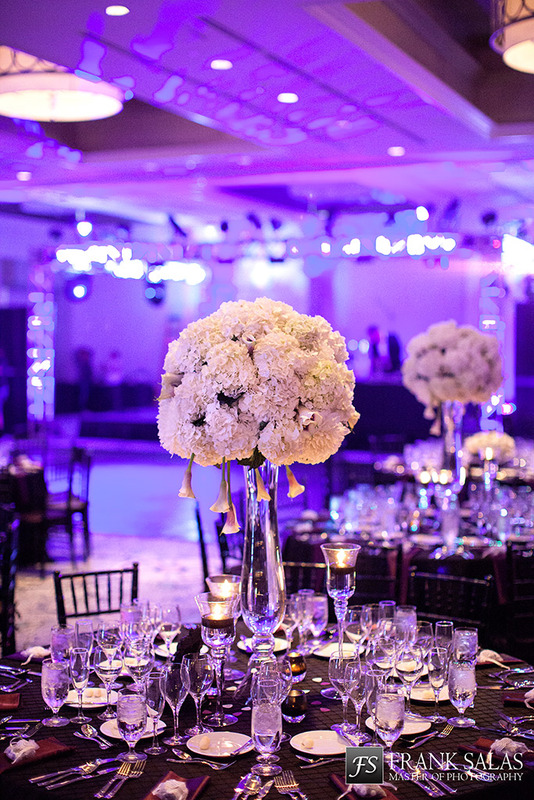 So if you are ready/game, so am I, call or email and lets get your wedding planned at the Ritz-Carlton, Dana Point before Dec 30, 2013.